New Redmi Device with Pop Up Selfie Camera. Since Jan 2019, Xiaomi has officially made Redmi as its sub-brand and touted to launch several new smartphones under it. As it’s very clear now that the bezel-less smartphones are quite possible, but OEMs are looking at Pop Up Selfie Cameras to get rid off the notch. We’ve seen the trend from Vivo Apex, and even the recent V15 Pro has it. So, why am I talking about it? Duh, the upcoming Redmi flagship phone might feature a pop-up selfie camera! 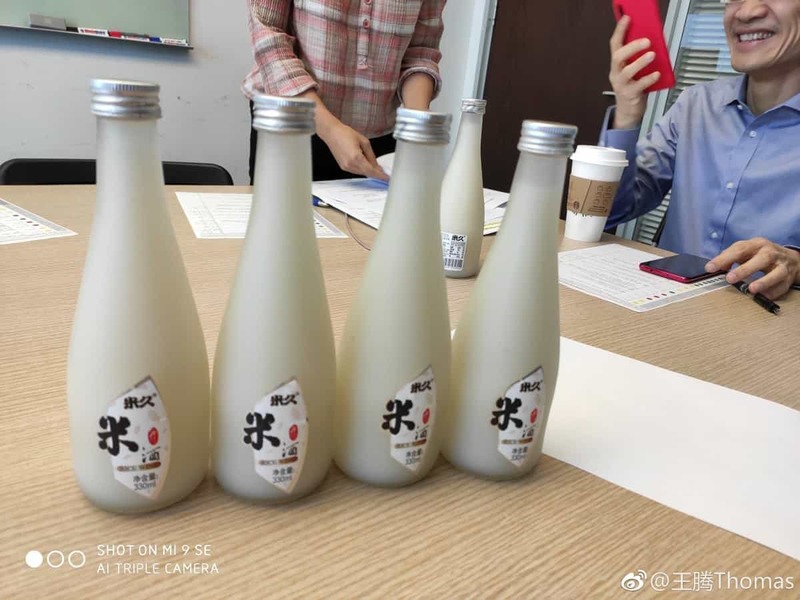 Xiaomi’s Product Director Wang Teng posted a photo of a couple of bottles in the discussion room on the popular Micro-Blogging website Weibo. Put on your glasses, and look closely – you can see a Redmi smartphone which is lying .on the book Although the post was quickly deleted from the blog, the Internet has it. You know what I mean right? Original Picture Posted on Weibo. Anyway, it’s become quite obvious that OEMs have a tendency to commit mistakes [by leaking] but they quickly deleting the pictures if it’s an unreleased product. By this, we can assume that this could be the upcoming Redmi flagship phone. However, Redmi’s Brand Manager, Lu Weibing said that the upcoming device is nowhere near the leaks of the last week. This can be a bit suspicious. One thing is for sure that there is no other device with the same setup as we have seen in the images. Another thing to note is the paper on which the phone is kept. There are Yellow, Red, and Green circles which can denote “Good to Go”, “Fine Tuning Needed”, and “Should Change”. This is something which the company will need in case there is a product launch in the coming weeks. Just to give a quick glimpse of the new sub-brand, the Redmi lineup is mostly targeted towards the masses and is usually cheaper than the Mi-series from the company. It was leaked recently about the new Redmi product which is going to be powered by Snapdragon 855 chipset. This particular product would also have a pop-up selfie mechanism, which will surely bring a revolutionary change in the mid-range market. So, What are your thoughts on the upcoming Redmi device? do let us know your thoughts in the comment section below. 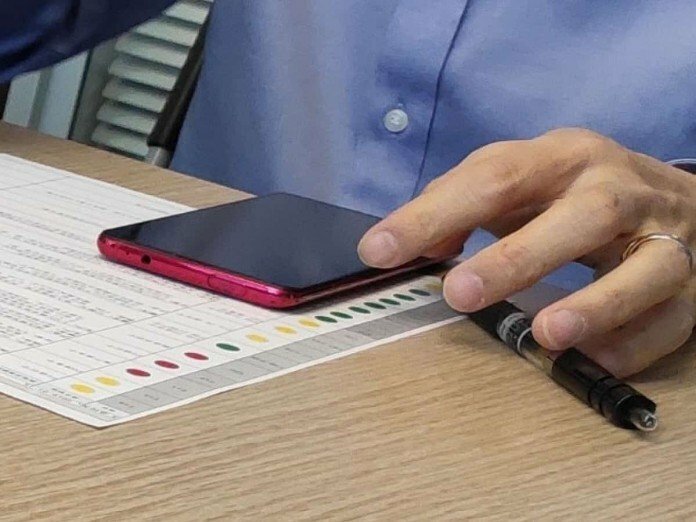 Previous articleSharp Unveils a Foldable Phone Prototype but…it has a NOTCH Problem! !